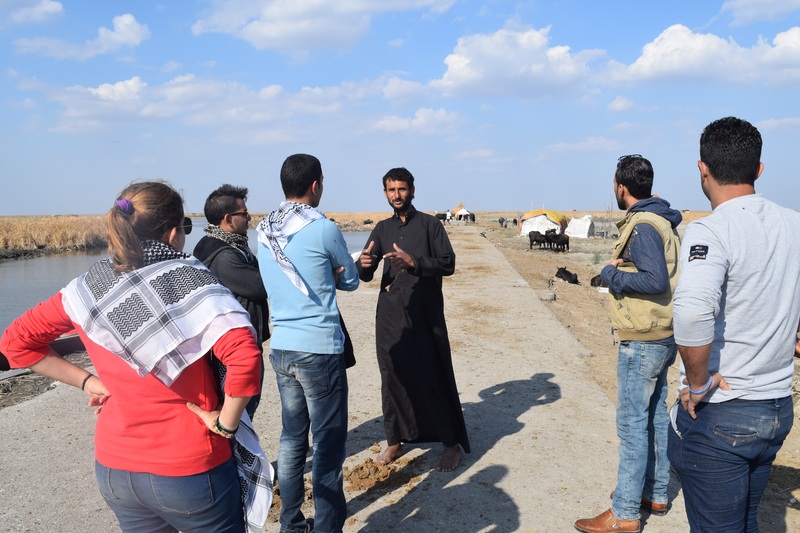 For three days, Iraqi youth activists of the Save the Tigris River and the Iraqi Marshes Campaign camped in the marshes of Al-Chibayish in Al-Nasiriyah province, from 19-21 November. The goal was to get familiar with the current reality of the Marshes, and the ongoing water crisis. The participants of the camps met with local elderly leaders and local government bodies, in order to discuss various activities and events planned for the campaign in 2016. 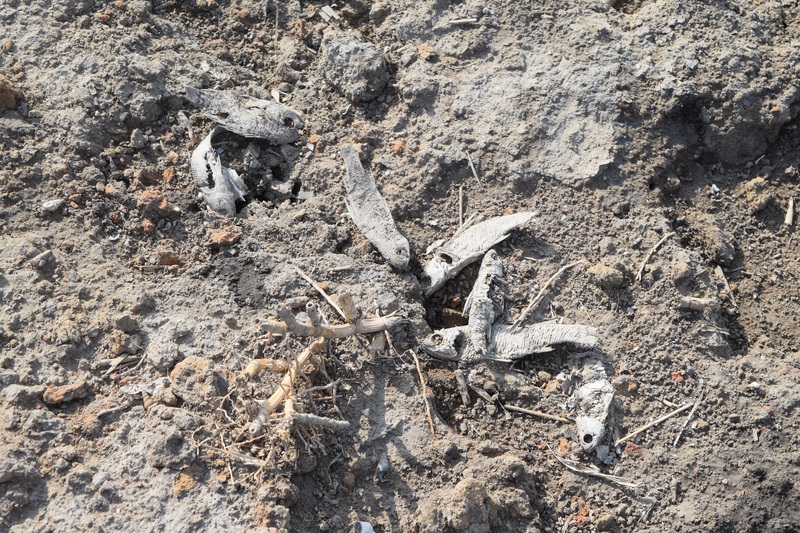 The main objective is to bring the current state of the Marshes to the attention of Iraq and the world, and the forced migration of the population of the Marshes due to droughts. The camp included a number of events and activities, such as a tour in the Marshes. They met the local residents of the area, who elaborated on issues such as the decline in water volume and frequent droughts, which forced many locals to migrate. Earlier reports confirmed that the Marshes of Al-Chibayish have been exposed to droughts due to low water levels of the Euphrates River. Which in its turn is due to the lack of sufficient release of water from the Turkish side of the border, and the fact that Daesh in large parts of Syria and Iraq controls water infrastructure such as plants and dams. Iraq is trying to compensate the shortage of water by further depending on the Tigris River and to makes sure that water of the Euphrates River flows to areas that were already dependent on the water flows coming from that river. However, the south of Iraq generally suffers from poor water distribution by the Iraqi Ministry of Water Resources. Furthermore, the Iraqi government will have to act quickly. The construction of Ilisu Dam, Turkey’s first and largest dam of its kind on the Tigris River, is still in ongoing construction. This means that the same decrease in water levels which befell the Euphrates River, is set to be repeated with the Tigris River. Though a large part of Ilisu Dam has been completed, construction has not finished yet. The campaign calls to stop its construction and to negotiate with Iraq. Should Iraq fail to act upon the issue of Ilisu Dam, it would imply a green light for Turkey to continue the construction of other dams on the Tigris River. 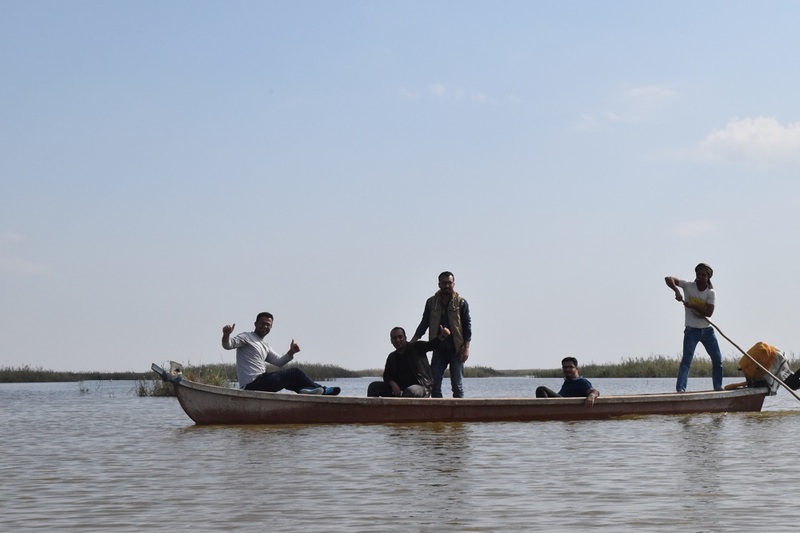 The leaders of the Al-Chibayish communities, after having met with participants of the youth camp emphasized their calls to save the marshlands, and repeated their stand with the Save the Tigris and the Iraqi Marshes Campaign. They requested not to focus advocacy on the Ministry of Water Resources only, since they find the burden is to be shared by the Iraqi government as a whole. They pointed to the importance of religious and political party leaders, and the need to inform them of the current state of the marshlands and its possibly bleak future. The elders called for the Iraqi government to undertake action against Turkey’s dams. 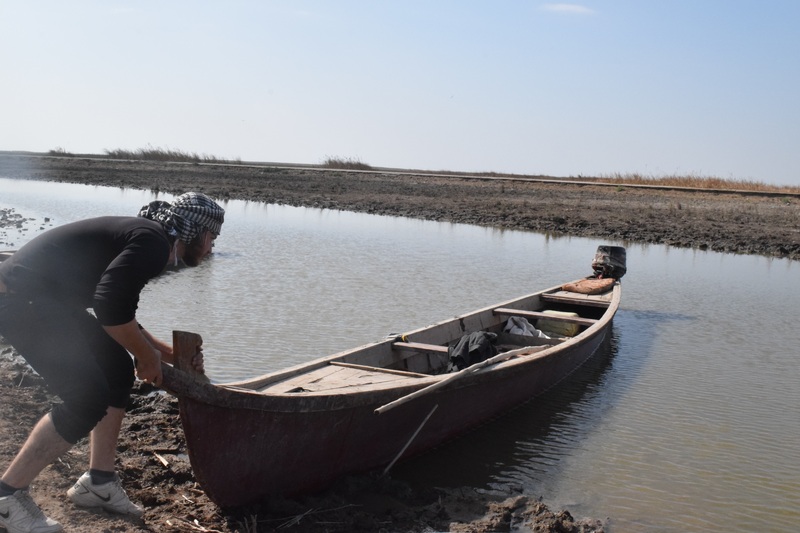 They criticized the Iraqi Ministry of Water Resources, holding it responsible for policies of regionalism, such as the quota system which attributes shares of water destined for the Marshes to the province of Najaf for the purpose of rice cultivation. Instead of focusing on fair and proper water distribution, the focus is on the distribution of water to areas which are economically most important. 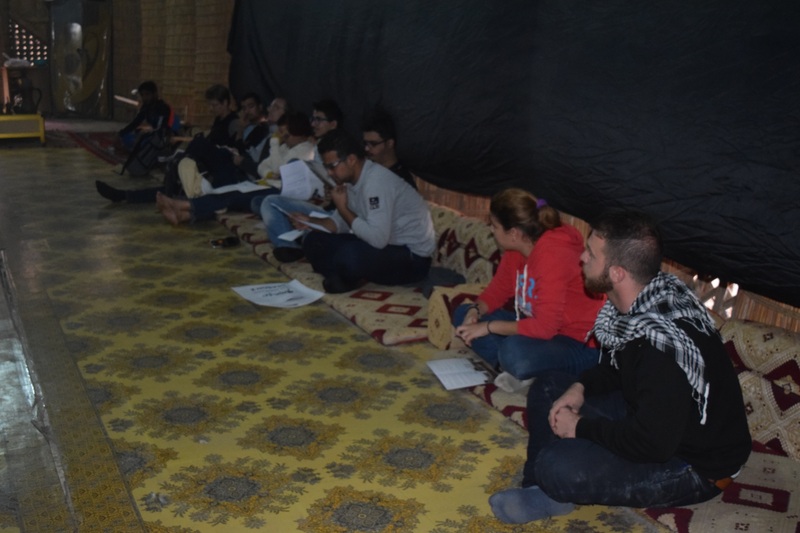 The youth camp participants developed a plan to expand the scope of campaign, targeting both the Iraqi and international community in order to put pressure authorities to halt the construction of dams. This kind of water infrastructure exacerbates the already apparent water crisis and could result in “water war”. Eight young people took part in the youth camp, representing a group of volunteers and activists of the campaign. The youth camp was organized by the Iraqi Social Forum in collaboration with the Iraqi Network for Social Media and the Iraqi Civil Society Solidarity Initiative (ICSSI), with support of Karibu Foundation and Fondation Assistance Internationale.